It’s still summer, but things are starting to cool down so I thought I’d start the Season Watch page for this season. Watch this page for reports on snow… when it gets here. Day 1 – November 12th, 2013 – Just a light dusting and some ice. 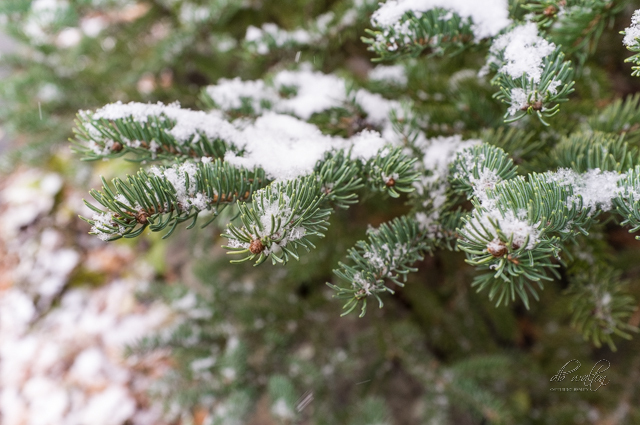 Day 2 – November 13th, 2013 – Another light dusting. Day 3 – November 23rd, 2013 – This afternoon the temperatures dropped and we got a good dusting. Not a lot of snow, but very cold and icy. Day 4 – November 24th, 2013 – Woke to 2″ of powder. Again, it’s in the mid 20s so the snow is sticking and not melting off, so I’m out shoveling the driveway and sidewalks. It’s worth noting this is the most snow we’ve got in before December since I moved here. Day 5 – November 26th, 2013 – It started snowing this evening and it looks like we are going to get a lot of snow. The Dish Network won’t work because of the snow, and we’ve already got about 1″ on the ground. Day 6 – November 27th, 2013 – We got dumped on. About 4″ over night. Plus, because it is warm, it is very heavy and wet. Day 7 – November 28th, 2013 – Happy Thanks Giving. This morning we woke to an additional dusting of snow. It is supposed to start snowing again this evening, but for now, we’re enjoying the clear blue skies. Day 8 – November 29th, 2013 – Another inch of snow on top of what was already here. Nah, not a day for going out shopping. (see my blog for this date entry). Day 9 – December 6th, 2013 – I’m not sure whether to count this or not. The weather logs are probably going to say an inch of snow, but it was actually a freezing rain, and when melted, 1/10th of an inch of rain is equivalent to 1 inch of snow. So, there was a little additional what stuff as you can see in this photo. I’ll count it, but don’t think of this as snow. 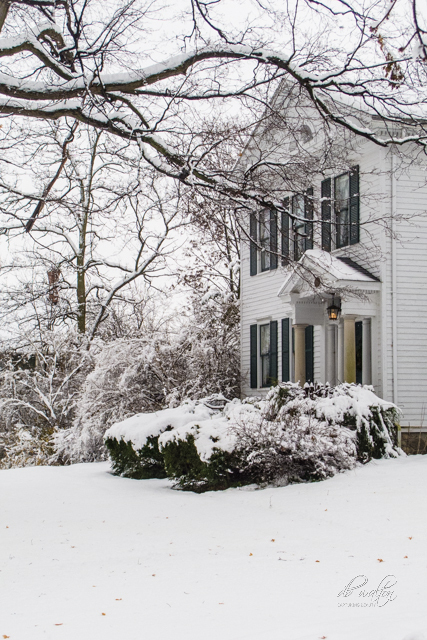 Day 10 – December 10, 2013 – The 10th day of snow on the 10th Day of December. 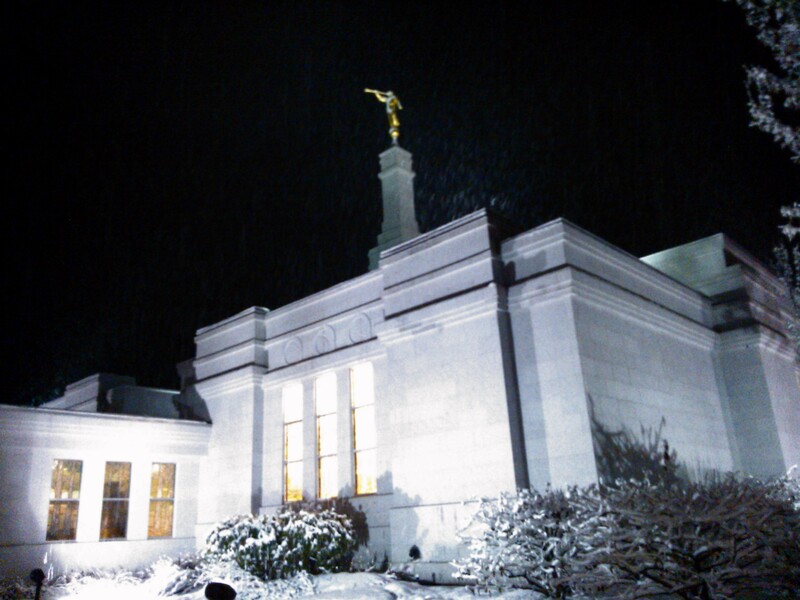 It started to snow this evening as were at the temple. Day 11 – December 11, 2013 – A little less of an inch was on the ground this morning. It took me all of 15 minutes to clear the entire driveway and all the sidewalks. Day 12 – December 12, 2013 – Today we had about an inch again. People near the lake are saying they got a whole foot, but… people around here tend to exaggerate the amount of snow. Day 13 – December 13, 2013 – Oh, this is freaky… 13th day with snow this season, on December 13th, 2013. Yes, we had snow when I got up, and about 2pm it really started coming down. We’ve got about 2″ of new snow. Day 14 – December 14, 2013 – Woke to a new 2″ on the driveway, but by the end of the day, we probably got another 3 inches. Day 15 – December 15, 2013 – We got about 6″ last night. It was hard shoveling it due to the depth, but it was light and fluffy. Day 16 – December 16, 2013 – We got about 1″ during the night. Thus, the total for the weekend was about 10″. Day 17 – December 17, 2013 – We got another inch last night. We’ll definitely have a White Christmas. It doesn’t look like things are going to let up until next week. Day 18 – December 18, 2013 – We got a light dusting last night. This looks like it might be the end for a little while. We are supposed to get some rain followed by some snow next week. 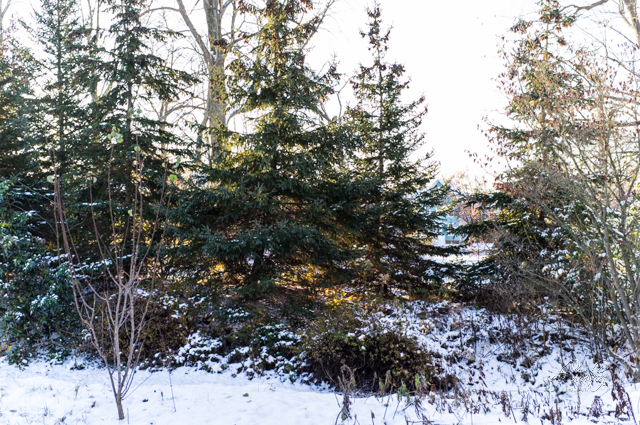 Day 19 – December 24, 2013 – Just a cold dusting this morning. Very icy outside due to the warm weather we’ve had the last few days. 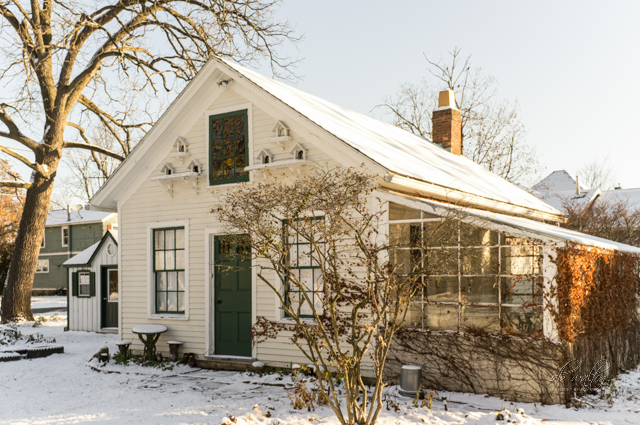 Day 20 – December 25, 2013 – Told you we’d have a White Christmas. We got about 1″ of new snow. 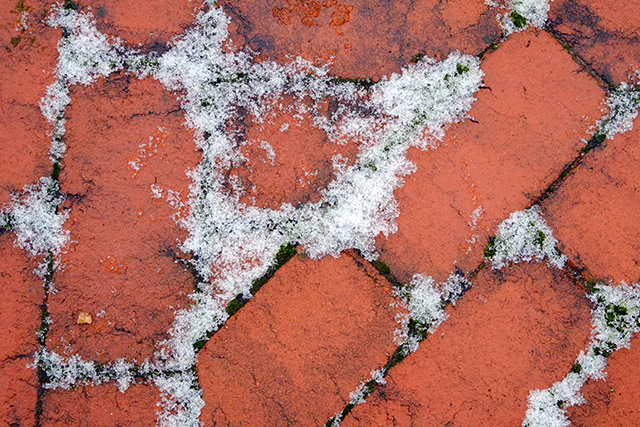 Day 21 – December 26, 2013 – Just a dusting. Day 22 – December 27, 2013 – Again, just a dusting. Day 23 – December 30, 2013 – Another dusting – too little to measure. This I will say, it is COLD. WLGZ reported 13F when I was in Rochester around lunch time. That’s cold. Hey, but the sun was shining! Day 24 – January 2, 2014 – First snow of the year, and it is a doozy. They are calling the storm Hercules. I already shoveled the driveway and sidewalks once. They had about 2-3 inches. It’s now noon, and we’ve got about 1/2 inch on top of that already. They are saying 5 inches by end of tomorrow. Day 25 – January 3, 2014 – Adding to yesterdays snow, we’ve got about 12″ of accumulations. That’s about a total of 8″ from yesterday, and about 4″ more last night. Last night was mostly wind with a few flurries. I watched it from the bedroom window until about 11pm. The temperatures dropped to 3F. Brrrr… So, I spent the first half of the day moving snow off the driveway. Let’s figure this out…. 5200 sq. ft. of driveway x 1 foot = 5200 cubic feet of snow. At about 6.2 pounds per cubic foot (that’s about the density of this snow) that’s 32,240 pounds of snow. Or, you can say that I shoveled about 16 tons of snow this morning. How do you move 16 tons of frozen water? One shovel full at a time. Day 27 – January 6, 2014 – I went to NYC this morning and rain was forecast. When I got home around 11pm, it was windy and snowy. We didn’t get much snow. Mostly cold, sub-freezing wind. Day 28 – January 7, 2014 – A light dusting, but more cold wind. -6F when I got up with a wind-chill factor of -32F. Day 29 – January 10, 2014 – Woke to about 3/4 inch of snow. Day 30 – January 18, 2014 – By the time I made it outside, we had about 1.5 inches of snow on the ground. Last night, as Elizabethe and I returned home from the movies, she commented about how all the snow was melted. Well, it’s back. Day 32 – January 20, 2014 – It was snowing when I got up, and snowed most of the day. We got about 4 inches total. My little gnome stool is nearly covered. Day 33 – January 21, 2014 – We got a nice dusting today, and the temperatures dropped in to the single digits. Day 34 – January 22, 2014 – One inch today. A very cold one inch. The temperatures stayed in the single digits all day. There is no moisture in the air and it is cold, crisp and dry. Day 35 – January 25, 2014 – Wasn’t here, going by weather reports. Light dusting. Day 36 – January 26, 2014 – Wasn’t here, going by weather reports. Light dusting. Day 37 – February 1, 2014 – Wasn’t here, going by weather reports. 2 inches. Day 38 – February 4, 2014 – Wasn’t here. 2 inches reported. Day 39 – February 5, 2014 – 2.5 inches for a total accumulation in the last 3 days of nearly 7 inches. Day 40 – February 6, 2014 – I arrived home today and there’s a good 12″ on the ground. Must have got a lot this morning. 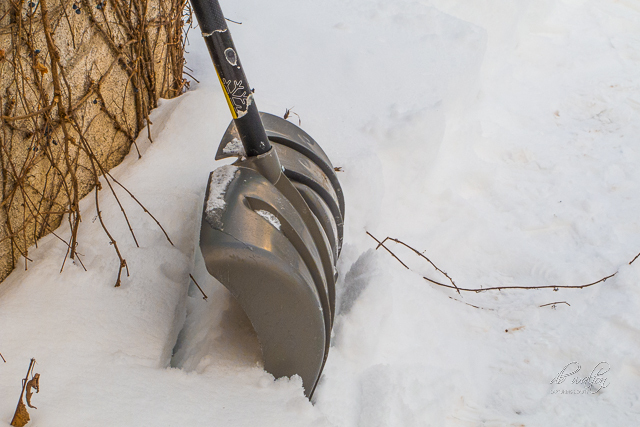 Day 41 – February 9, 2014 – Got some dusting today. Day 42 – February 10, 2014 – 2″ of new snow this morning. Shoveled the sidewalks and driveway. It’s cold, dry powder. Day 43, February 11th, 2014 – Just some flurries today. Nothing measurable. Day 44, February 13, 2014 – Tonight it started coming down like crazy. We got about 2″ in just a couple of hours. Day 45, February 14, 2014 – Happy Snowy Valentine’s Day. Yes, we got snow last night and some this morning. I managed to get things shoveled. Day 46, February 14, 2014 – I thought it was going to stop for the day, but it started up around 8am this morning. Day 47, February 25, 2014 – About 1″ last night. Melted pretty quickly this morning. Day 48, February 26, 2014 – About 1/2″ last night. It was cold enough it stuck around half the day, and then melted. Day 49, February 27, 2014 – Woke to about 1/2″ of snow, but the afternoon brought blizzard-like conditions. The temperatures today have ranged from about 11F to 20F, but mostly in the low-teens. Day 50, February 28, 2014 – Work to a new 1/2″ of snow on the ground. The sub-freezing temperatures have kept the snow loose and blowing around. It is not a day for unprotected skin. Protect your face and hands when going outside! Day 51, March 1, 2014 – Yup, another snowy day. Day 52, March 2, 2014 – Today I kept hearing a snow blower during church. It must still be snowing out there. Day 53, March 3, 2014 – We haven’t had a lot of snow lately, just some flurries. Either way, it is still cold. Day 54, March 4, 2014 – Another light snow. Perhaps 1/4″, but it is very, very cold. March 5, 2014 – Woke up to -7F temperatures. The radio reports this is a record low for March 5th. It is sunny, but very cold. The highs are estimated to get around 20F. Day 56, March 13, 2014 – The snowfall stopped in the wee hours of the morning. I have some drifts that are about 2 feet deep, but I went out where it was level and not drifting and measured 12″. It is exactly as deep as my boot is long. That said, on the north side of the house, there are places where there is bare ground. 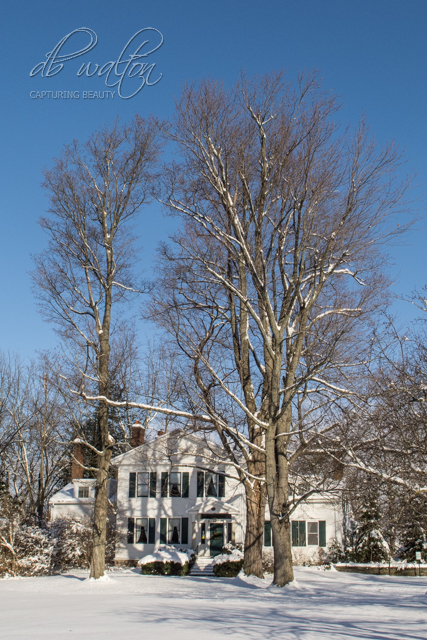 On the south side of the house, there are drifts that go up to about 3′. All said and done, we got 12″. As you can see from the above photos, the snow has drifted under the windows and is at the bottom of some of the planter holders. It also drifted right where the walk way is. This has resulted in a 2′ deep canyon from the back door to the driveway. Day 57, March 23, 2014 – We got 1/4″ this morning, and through out the day there were some flakes blowing around (flurries). The temperatures are dropping despite it being spring now. Day 58, March 30, 2014 – The initially said we would get 6-10 inches, and it was supposed to start yesterday. Well, no snow yesterday. It rained until about 1am and then the sound on my tin roof stopped and I figured it finally turned to snow. When I got up, it was the depth of 1 brick – about 4″. We got another inch for a grand total of about 5″. This was WET HEAVY SNOW. Wondered how you guys were doing with “Hercules” bearing down on you. Stay warm; stay safe! I got up this morning and cleared about 2″ off the driveway. After checking e-mail, there was about 1/2 inch there, and then after my 1st client appointment, it was about 1.5 inches. Currently, about 3pm, it is coming down pretty heavily. I have no place I need to be tomorrow, so I just may spend the day at home.